If you want to travel across the European countries without worrying about a lot of expenses on various visas, you can apply for Schengen Visa which gives you the liberty to travel within 22 European countries and three other non European countries. - with an agreement to dissolve their common or internal borders usually for traveling and business purposes. Simply put, you can cross in between these countries without any passport, immigration controls and previous formalities required in their joint borders. This is good news for Filipinos who wants to save time, energy and money from various Visa appointments, fees and processes. Filipinos love to travel and going to countries such USA, Japan, Canada, New Zealand and much more, these require visas and personal interviews. Schengen Area requires only one visa which any Filipinos with valid passport can avail. With Schengen Visa, you can stay as long as 90 days in a six month period. To maximize your experience, plan your travels, flights and accommodations ahead of time. You must be reminded that Schengen Visa is strictly a visitor visa thus you cannot work nor study with this visa. 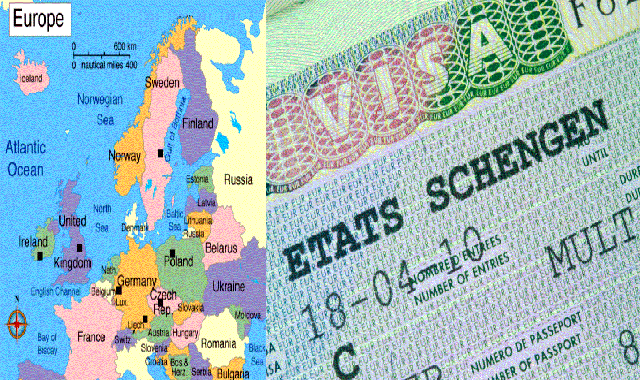 To get a Schengen Visa, you must prepare the requirements to pass and accomplish. *Fill in and sign the form for the Schengen Visa. *Photocopy your valid passport and previous visas in color. Your passport must be valid at least six months from the travel date. *Prepare your passport, NSO certified birth certificate, *marriage certificate and passport sized photos in white background. Ready your roundtrip tickets, detailed itinerary ( with arrival and departure dates), hotel accommodations, booking receipts, proof of financial capacity, income and sufficient funds such as Bank statement of accounts, recent ITR, credit card billings,bank certifications, and updated passbook. If you are employed, you must have a Certificate of Employment, Approved Leave of Absence, Travel Insurance from a Philippine based Accredited Schengen insurance company. Other requirements are Visa processing fee according to the embassy you are applying to. From minors, they must have Affidavit of Support and Consent from both of their parents. If the minors are not traveling with parents, they must have a DSWD Clearance. If self employed, have your Business Registration Certificate ready. However, if you are a government worker, you must have a Travel Order. It is very important to have an invitation letter addressed to the embassy from relative or friend who is a National, Citizen or Foreign Resident and the letter must be accompanied with a document of identity or permit of stay. Make sure that before you apply for the Schengen Visa, your requirements and documents are all ready and the information are consistent. Have you bookings, flight and itinerary finalized. You can apply in your chosen embassy three months before your trip. Italy Embassy based in Manila usually don’t require personal interview if you have consistent and proper documents. Netherlands, Spain Embassy, and French Embassy are not as strict as the other embassies. Italy embassy has a call center where you can call to know when their courier service can pick up your requirements. The Visa might costs P3,550 while the courier is around P450. Your visa can be approved around 5 to 7 days after application if your documents are consistent and complete.